The International Harvester B614 Tractor launched in 1964 was similar to the earlier B450 it was rated as a four furrow plough tractor. Standard features were: live hydraulics and an independent 540 and 1,000 r.p.m. respectively power take off speeds. The B614 was fitted with the BD281 engine which was rated at 62.5 h.p. and the clutch unit was of the multi-plate type. Two power take-off stub shafts with 6 and 21 splines were supplied with the tractor and the required shaft was bolted on to a hub at the rear of the tractor. 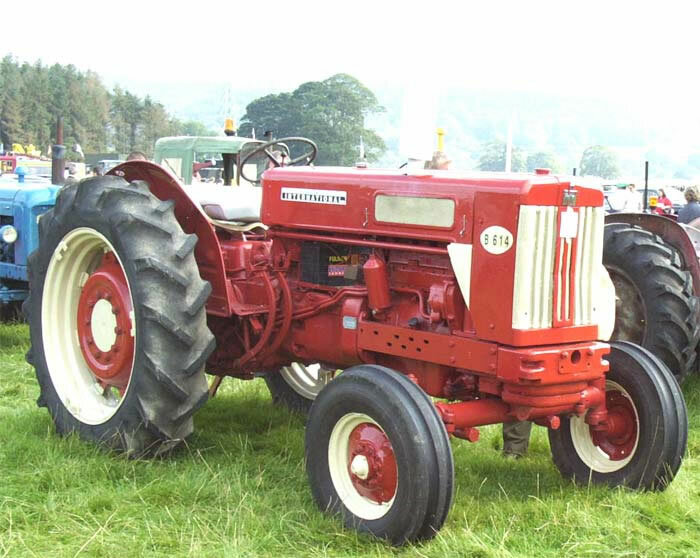 The B614 was possibly one of the least popular British built International Harvester tractors, less than 5,000 units had been sold when production ceased in 1967.